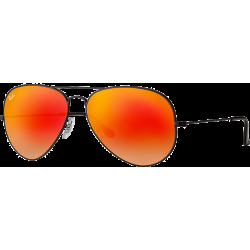 Ray-Ban RB2027 Predator 2 sunglasses take on the traditional rectangle sunglasses design. 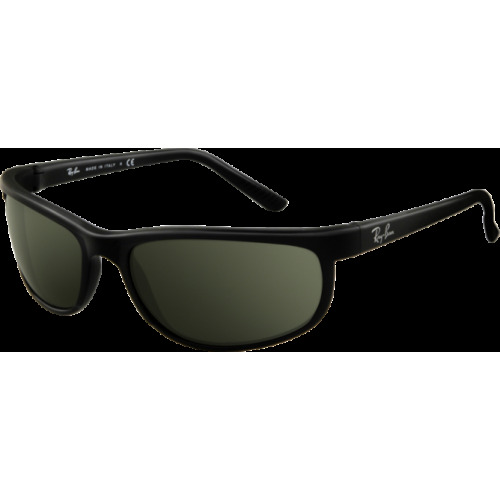 The wrapped fit of Ray-Ban RB2027 Predator 2 sunglasses creates a sporty look that is both casual and athletic. The inside of the Ray-Ban RB2027 Predator 2 temple tips feature a subtle, striped texture treatment. This iconic contoured shape and design establishes an immediate, noticeable identity without sacrificing quality. Their wrapped fit creates a sporty look that is both casual and athletic. 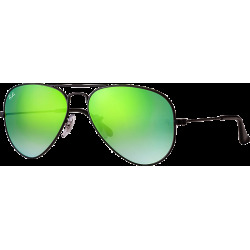 Wear Ray-Ban RB2027 Predator 2 sunglasses in a black frame and a variety of lens treatments including polarized sunglasses, mirror grey solid, crystal green solid and silver gradient. 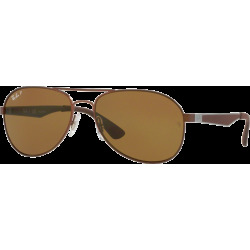 The end result is an authentic statement piece that is bold, iconic and unmistakably Ray-Ban.